Cork's #1 Personal Training Centre F1T is not your average gym. Sure, when you walk in the doors, you see gym equipment - machines, barbells, dumbells, prowlers, tyres, but we are so much more than our facility. F1T is an ethos, a way of life, and a community of people working towards a much larger goal. Our goal is to make health, fitness, and nutritional education and advice available to everybody. 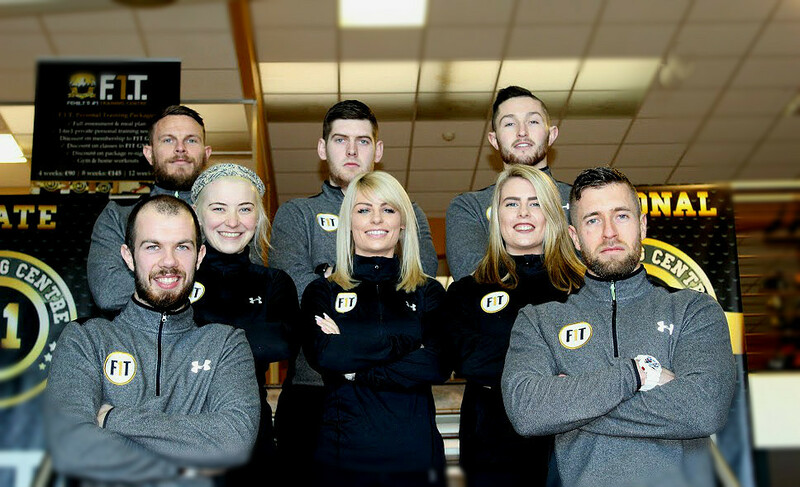 F1T was born out of owner and director Eoin Fehily's personal transformation. Weighing 23 stone at the age of 19, he took it upon himself to change his life for the better. With no education or guidance he began his weight loss journey, and is down 10 stone through sheer hard work and determination. Eoin has since dedicated his life to the health and fitness industry, gaining numerous exercise, nutritional and coaching qualifications in the process. F1T was the next big step. F1T is for people with absolutely ZERO fitness or gym experience - It doesn't matter if you've never seen the inside of a gym in your life, or if you struggle with catching your breath on the way up the stairs. If you have a lot of weight to lose, or just want to get healthy and fit. We're for you. F1T is for people with a ton of gym experience - It doesn't matter if you're an elite athlete and feel like you need to up your game, or you need help recovering from an injury and don't know where to start. We're for you. F1T is for people of EVERY age - It doesn't matter if you are 13 or 93. If you have a teenager that you feel could use a little motivation or guidance in the health/fitness area, or if you feel like you just want to increase your mobility and strength with a little exercise every day, we can help you.